Traditionally, Honeyballs are prepared to celebrate Namedays in the Greek culture. For example,in honor of Saint Nicholas, I celebrate my nameday onDecember 6th, St. Nicholas’ Day, and would traditionally enjoy honeyballs as part of the celebration. That being said, honeyballs take preparation and patience so they are often overlooked in lieu on simpler sweets. These days, most of us only have honeyballs at Greek food festivals during the summer months. 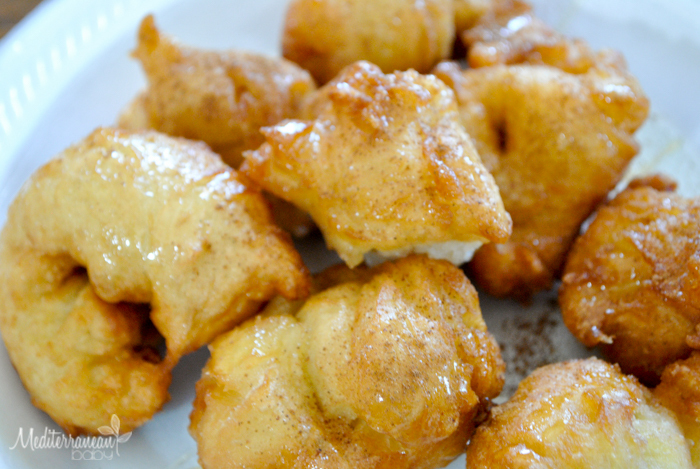 If you’ve never had them, they are fried dough dipped in honey and topped with cinnamon and they are delicious!!! My kiddos love them and I have always wanted to try making them as a tradition on their namedays. 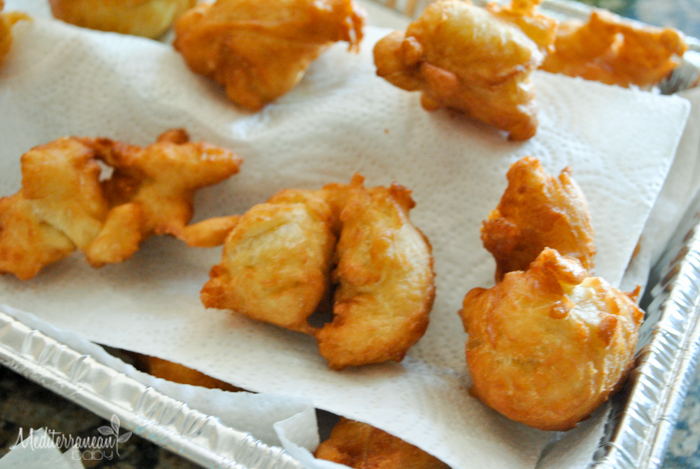 When my Yiayia recently gifted me a fryer, my mind immediately went to honeyballs. After playing around with some recipes, I now know they aren’t as challenging as I thought. With a little time and patience, they are actually pretty simple. If you have a special occasion or want to start a sweet tradition, this is the perfect treat! I electric stand mixer, beat eggs until fluffy. 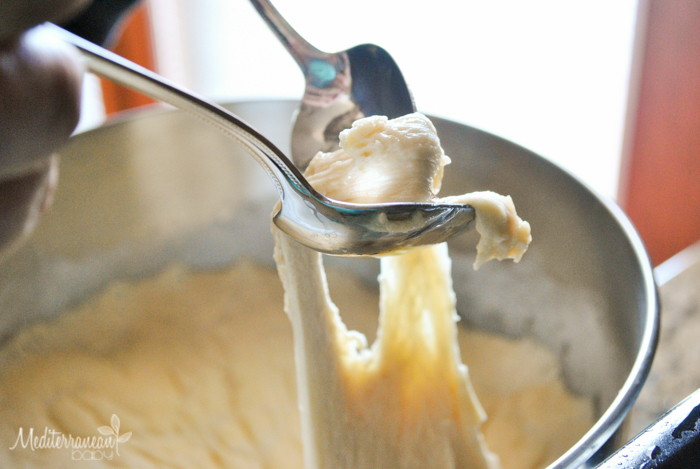 Mix in sugar, vanilla, milk, salt, flour, and baking powder. Cover with two towels and set aside in a warm place for 1 hour. In the meantime, prepare the honey syrup by combining the sugar, water, honey, and lemon juice in saucepan and bring to a boil. Simmer while whisking until thoroughly combined and turn off the heat. 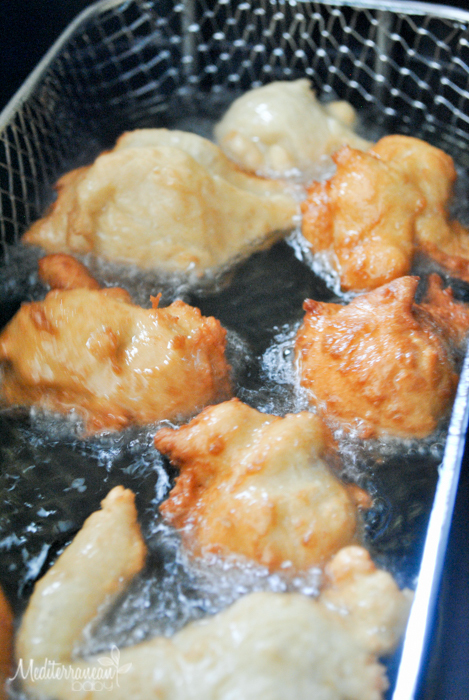 Using 2 tablespoons, dip the spoons into the hot oil and then use them to spoon out dough from the bowl into the hot oil, one dough ball at a time, filling the fryer or frying pot. 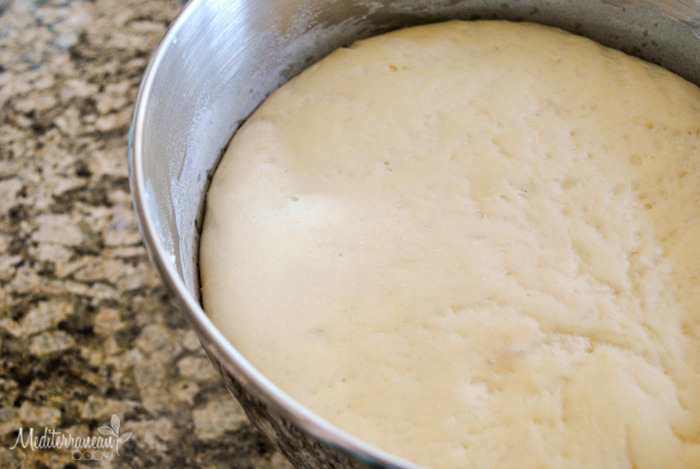 Be sure to use a large metal slotted spoon to turn the dough balls as they cook. As soon as they reach a golden color, remove from oil with the slotted spoon and place on a paper towel lined tray. 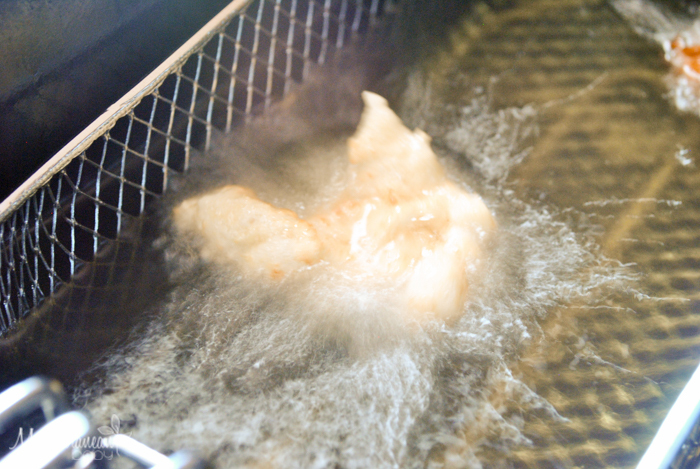 Set aside until all of the dough has been fried. Dip each dough ball into the warm honey syrup and sprinkle with cinnamon. Serve immediately. I was luck enough to have some from the first batch and they were delicious!!! Thank you Nicole and Cathy.